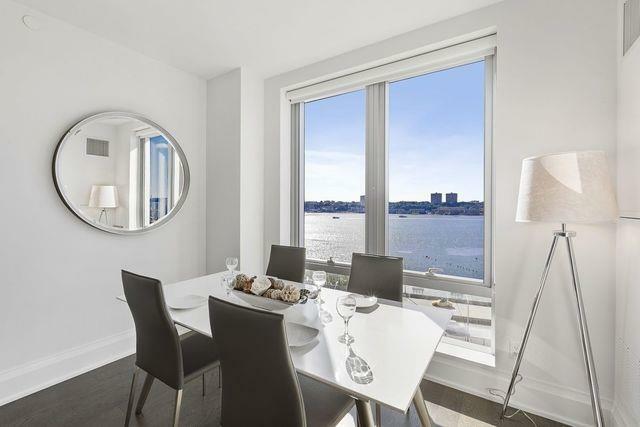 A brand new 3 Bedroom, 3.5 Bath residence at One Riverside Park boasting spectacular Hudson River views from every room and Tax Abatement. 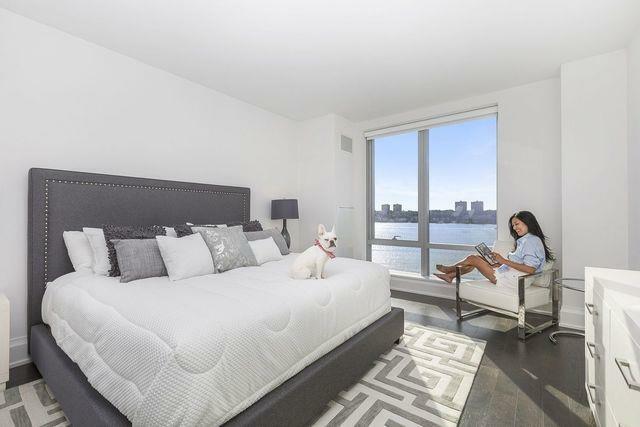 This gorgeous home offers generous sized rooms, walk-in closets and a gourmet kitchen with high-end finishes. The distinct kitchen is outfitted with white lacquer wall cabinetry, Marble stone slab countertops and stainless steel tile backsplash.Top of the line appliances include a Miele stainless steel gas cooktop and oven with fully vented range hood, a Miele refrigerator and freezer, a Miele dishwasher, Meile Washer / Vented Dryer and GE microwave.The Master bathroom is luxurious and modern with a dark oak vanity with double sinks, marble countertops and walls, a Zuma deep soaking tub, a glass enclosed shower with rainfall showerhead and Dornbracht polished chrome fixtures. 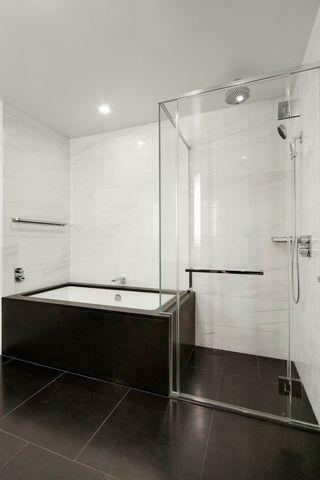 The second bathroom is bright and classic with glossy white wall tile and white polished lacquer vanity. 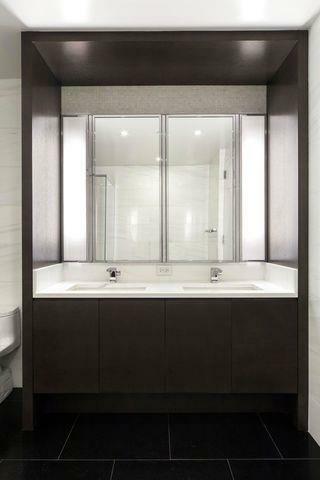 The elegant powder room features a rich palate with an ebonized oak vanity, black marble countertop, slate grey quartzite stone floor and an iridescent accent wall. Wide plank oak flooring with a custom dark stain outfitted throughout the residence along with a Miele washer and fully vented dryer. Building Amenities: 24-Hour Doorman and Concierge Residents' Lounge Screening Room Entertainment Room with Catering Kitchen Billiards and Game Room Indoor Playground by Kidville Landscaped Garden Courtyard Riverside South Shuttle Service On-Site Parking Garage 75' Swimming Pool and Hot Tub,Rock Climbing Wall, Basketball Court, Squash Court, Yoga, Pilates, and Personal Training. Listing courtesy of Jp Smith of Compass.